just imagine how well they’ll work with your dog! This should be the first page you come to! Because the training philosophy, methods or process is what’s going to separate all the dog trainers and what’s ultimately going to get you the results that you are looking for. Investing in a dog training program is often a large investment; Joel understands this and has developed a system that works! We are excited to share our philosophy and methods in detail below. 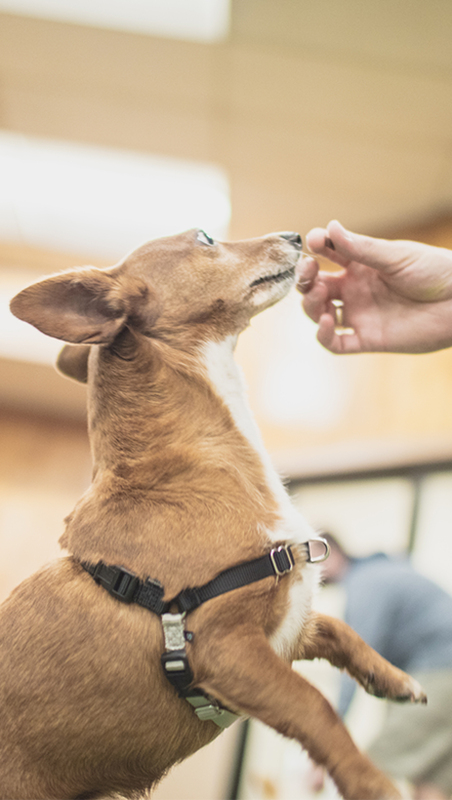 AT BDT we use positive reinforcement for all Basic Obedience behaviors. You may say “but I don’t always want to have treats on me” Good neither do we, we use treats for behaviors like, sit, down, and stay, etc. Then we fade out the treats as quickly as possible and add a “release” which becomes the reinforcement. And we don’t even use treats for many behaviors, like wait at doors and loose leash walking and Jumping, because the reinforcement is “built in”. The reinforcement for not jumping is attention, the reinforcement for waiting is a release out the door and the reinforcement for not pulling is to continue on the walk. We feel that many dog trainers have gotten too reliant on treats. Joel knows his clients don’t want to use a lot of treats and we are committed to achieving this. On the flip side, we have never and will never use shock collars or prong collars. The reason is simple. Joel has seen these methods cause random, sporadic and intense aggression. Joel understands aggression, fear and reactivity like no one else and knows the difficulties of extinguishing these behaviors. Therefore, we will never use these methods. 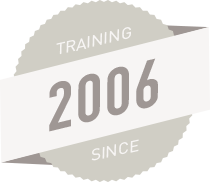 Beckman’s Dog Training has been around since 2007 and we are not going anywhere, in fact we are growing and expanding. You can start with us at any stage of your dog’s life, but we have seen the impact of starting with proactive socialization and Basic Obedience training with young dogs. Addressing problematic behaviors before they become larger ingrained behaviors is important. No matter the program you choose or the age you choose to do it, with Beckman’s Dog Training you will have a consistent training philosophy throughout your dog’s life. We will be with you if you need us every step of the way. Whether it’s basic obedience, separation anxiety, on leash reactivity or aggression towards other dogs, the owner needs to be trained. Training is not easy. Joel and his staff have been training animals at the highest level for many years and they are still learning new things. Many times the owner’s behavior has contributed to the dogs unwanted behavior. We are committed to train the client, but the client has to be willing to change their behavior and do what is asked of them as best they can. Joel has learned that all clients are different, he has many clients from professional athletes, older folks, people who work all day, people in wheel chairs and everyone in between. He knows that not all people can train all day or single mothers who are too busy to devote a lot of time to training. We will develop a training program that will work for your life and budget. One of the first questions that is asked when you call us for behaviors like tearing up the house, chewing, digging, reactivity, escaping and many others is, “How much and what type of exercise does your dog get?” All of our programs include an exercise schedule and a discussion on proper exercise routines to fit your life. 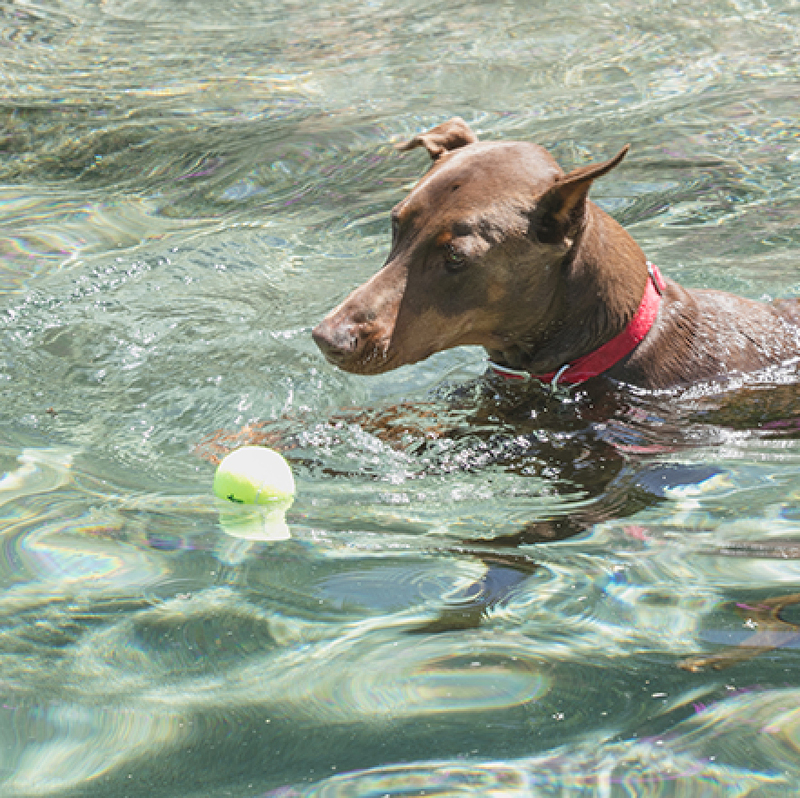 One of the main advantages of our board and train program is the amount of physical and mental stimulation your dog receives. Often times after your dog gets home from our board and train program, they never go back to the same exercise requirements as they did before coming to us. You will however need to follow your trainer’s suggestions on an exercise routine. We will never give you more than you can handle, but we will give you the exercise routine that your dog needs. Nothing for Free is a fundamental principle of our dog training system. One way we fade out treats is that we use “natural” reinforcements that are built into the day as the reinforcement. 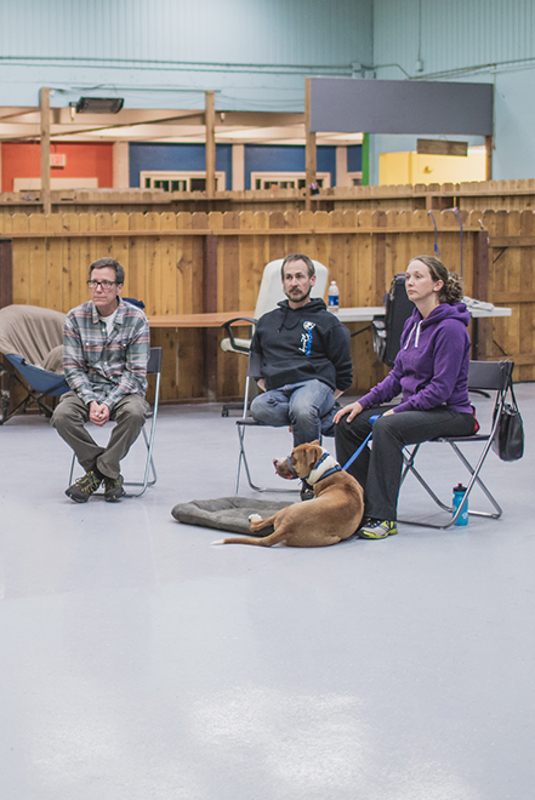 If you have taken a class with us, you know that the playtime never starts until all dogs are sitting and staying, then the dogs are released to play. This sit/stay/go play process happens before all playtimes at our facility as well. What this does is eliminates the need for treats while training sit and stay. We also use this Nothing for Free philosophy when walking dogs. They also have to sit and stay before feeding, going out doors, and into the pool, etc. Dogs want structure and direction and they want to work for resources. There is a battle going on in the dog training world right now about “dominance”. Many dog trainers think every problem is due to the owner’s lack of dominance. Many trainers don’t believe dogs even have a dominance hierarchy at all. The answer is somewhere in the middle. Especially when dealing with fear, aggression and reactivity, we have to be the leader! At our Ramona facility Joel is the Boss, followed by the trainers and then Bosco. This structure is good for the board and train dogs. When we ask the dog to do something the command needs to be followed. At our board and train program the dog comes almost perfectly within about two days. This is amazing! We give treats and praise every time the dog comes and when the dog makes a choice not to come, we go get them, every time! Within a very short period of time the dog learns that there is no other option than to come. Technically the recall example is not about leadership but instead a training concept called “learned helplessness” but I feel it is still is an example of leadership. We offer the most training programs to fit your busy life. Whether it’s part of a larger training package or you just want to take a class or meet for a couple 1-2 hour sessions, we have the programs to help. When you meet with your trainer we will recommend a training program that gets you the results you are looking for as quickly as possible. Joel and Liz walked into mission Hills Camp Run a Mutt when it was still a garage and Dennis, Mikel and Severn were working night and day to make it into the beautiful doggie day care facility that it is today. 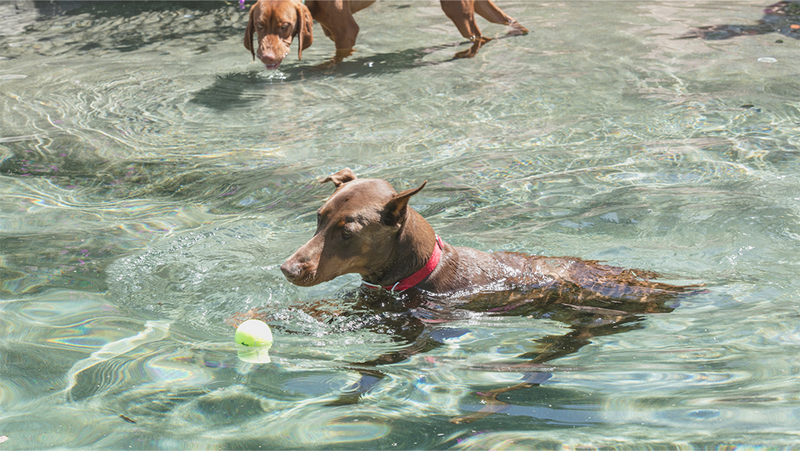 They are now the premier doggie day care facility in Southern California with over 7 locations. Beckman’s dog training is proud to offer classes at Camp run a mutt Kearny Mesa and Point Loma locations.